We’re committed to adding superior taste to your lifestyle; from exclusive pampering and trendy experiences to concierge services, every detail involves limitless imagination, creating a true artisanal journey. New World China Land Club (NWCL Club) was established in 2009, offering customised services to its prestigious clients in order for them to better savour the aesthetics of living. NWCL Club is dedicated to providing privileges, personalised services and fun activities. Together with Chow Tai Fook Jewellery, New World Hotels and New World Department Store, clients can enjoy an array of shopping privileges and exclusive services to complement the convenience and delights of city living. NWCL Club offers three membership tiers: Classic, Gold and Platinum. Each tier brings its own recognition and privileges to members. Classic members can enjoy an upgrade to Gold membership with just 300 accumulated rewards points. Gold members can enjoy an upgrade to Platinum membership by accumulated rewards points rank within the top 5% in their respective card issuing region. As part of its multi-faceted services and privileges, NWCL Club has launched Rewards Points Scheme to award its members. Rewards Points are available in two types: Upgrade Points and Rewards Points. Members can earn points by various methods. Simply accumulating Rewards Points to enjoy an array of awards and gifts. For the first time purchase of NWCL property in the first-hand property market, members can earn 1 Reward Point for every RMB10,000 spent on property purchase. Members or their direct relatives (i.e. parents, children, spouse) who make second purchase of NWCL property in the first-hand property market will earn 2 Rewards Points for every RMB10,000 spent on property purchase. For the third and subsequent purchases, 3 Rewards Points will be earned for every RMB10,000 spent on property purchase. Members who recommend their friends and relatives to view NWCL properties for sale will earn 2 Rewards Points each time. The maximum number of referrals is 5, afterwards no further points can be earned. Members who successfully recommend their friends and relatives to purchase NWCL properties in the first-hand property market will earn 1 Reward Point for every RMB10,000 spent on property purchase. Both parties must be presented when the referee receives the rewards points and signs the Rewards Points Acknowledgment Form. When you enroll and successfully become a member of the NWCL Club, you will earn 10 Upgrade Points. Members who recommend their friends and family members to successfully become NWCL Club members will earn 2 Upgrade Points each time. A maximum of 5 referrals can be made, afterwards no further points can be earned. When valuable suggestions from members concerning NWCL Club or New World China Land via NWCL Club’s website or any other methods are effectively implemented, 5 Upgrade Points will be earned by that member each time. NWCL Club members can enjoy exclusive benefits and personalised services as well as participate in exciting activities to fully savour the aesthetics of fine living. NWCL Club x EF – “Super Race” Challenge! On Father's Day 2016, NWCL Club teamed up with EF to hold a "Super Race", a large-scale English challenge for the entire family. Nearly 100 teams of young competitors aged 5 to 13 from the NWCL Club and EF joined the challenge with their fathers. They completed four challenging games during which the youngsters had to apply their English lanaguage skills. The game also helped youngsters to increase the bonds with their fathers. On Women’s Day 2016, NWCL Club held a Creative Cooking Activity in Shenyang. Under the guidance of a floral master and tea master, NWCL Club members made creative sushi, desserts and floral decorations while tasting floral tea. The activity concluded with lots of laughter and fun. The NWCL Club’s youth art class held a city architecture drawing competition under the theme of “Art that Touches the Senses”. The competition was opened to all NWCL Club families' and children in China. After a one-month selection process, 12 winners and their families went on a delightful 3-day “Art Trip” to Shanghai, visited Dali Exhibition and K11 Art Mall. NWCL Club Gold and Platinum members can enjoy the following privileges with their membership card at selected stores, counters and hotels in Mainland China. For discount details, please contact individual outlet. To enjoy offers at New World Supermarket, please present your NWCL Club membership card at the checkout counter prior to payment. The above offers are valid only in the existing 42 department stores in Mainland China. For Shanghai, the offer is only valid at the Hong Kong New World Department Store. Members should make a reservation directly with the hotel. A maximum of two rooms can be reserved each time. Members must present their NWCL Club membership card upon check-in and check-out in order to enjoy a 10% discount on room rate. Subject to 10% service charge and 6% VAT. The New World China Land Club (hereinafter referred to as the "NWCL Club") is open to individuals aged 18 or above. NWCL Club reserves the right to grant or refuse Membership as its sole and absolute discretion. Upon successful enrolment, a membership card will be issued to newly enrolled members. If the member is registered under a company name, that membership card will be issued to the legal representative or business owner (based on the Business Registration Information). The membership card is used for the purpose of member identification, please keep it safe. Memberships and membership cards are exclusively for members use only, and are non-transferable, cannot be borrowed or otherwise used by others. Members are required to present their membership card when they use the facilities and/or services provided by NWCL Club, as well as participating in activities, redeeming points or enjoying any special offers. Otherwise, NWCL Club and the relevant business operators have the right to refuse to provide services or special offers. NWCL Club reserves the right to modify the programme structure, benefits, and other features, including these Terms and Conditions or to terminate this programme at any time. Although NWCL Club will use reasonable effort to notify members of material changes to NWCL Club and/or to these Terms and Conditions by updating the same on the New World China Land website www.nwcl.com.hk, it is also the responsibility of members to keep themselves up-to-date in respect of NWCL Club and these Terms and Conditions. Any use of NWCL Club by a member will be deemed as acceptance of any amendments. The NWCL Club and/or Partners will not be liable for loss or damage resulting from any amendments to NWCL Club or to these Terms and Conditions. NWCL Club shall, at its absolute discretion, terminate the operation of NWCL Club at any time without prior notice to members. All rights and benefits of the members shall cease and all members shall return their Membership card to NWCL Club immediately upon receipt of termination notice. In case of dispute over the interpretation of these Terms and Conditions, the NWCL Club’s decision is final. Membership enrolment can be made online at the New World China Land website www.nwcl.com.hk or by completing an enrolment form which is available at the project sales office or event venue. Upon approval by NWCL Club, members will receive corresponding level of membership. All membership information will be kept confidentially. Enrolment forms will not be processed unless all mandatory fields are completed with real and accurate data. Applicants must carefully read the Terms and Conditions before submission of enrolment forms, once an applicant has signed the application form and is accepted by the NWCL Club, he or she will be deemed to be a NWCL Club member and agree to accept these Terms and Conditions. The first term of membership is five years. When a membership expires, NWCL Club will notify members about membership renewal by e-mail, SMS, or telephone, members are required to submit renewal application for approval. If a membership card is lost or stolen, member should report to NWCL Club immediately. A fee may be charged for issuance of a replacement card. For membership upgrade, NWCL Club will issue a new membership card to you, please return the original membership card to NWCL Club. Member is responsible for any consequences arising from the loss or theft of a membership card. NWCL Club will not be liable for this loss. Members who wish to discontinue their membership must provide written notice and return their membership card to NWCL Club by registered mail. NWCL Club will then update the member information in the membership system. NWCL Club may, if it considers that any member has conducted himself/herself in any way jeopardising the interests of NWCL Club, New World Group and/or its affiliated companies, or its members has committed any breach of these Terms and Conditions, NWCL Club reserves the right to terminate the membership of any member at any time and to pursue legal action. A member whose membership is terminated shall cease to have any rights, benefits or privileges of membership and any rights to enjoy the facilities and services provided by NWCL Club. Membership will end automatically upon the death of the member and rewards points earned but not redeemed at the time of death, as well as benefits and privileges will be cancelled. Membership cards must be returned to NWCL Club upon the termination of membership of any member. NWCL Club offers three membership tiers: Classic, Gold, and Platinum . Members of each level enjoy the corresponding level of benefits. A person who aged 18 or above and agrees to accept the Terms and Conditions of NWCL Club, may apply for Classic membership. New World China Land property owners (referring to the first-hand and second-hand property owners of New World China Land properties) are eligible to apply for Gold membership and become Gold members. For multiple ownership of New World China Land property, only one party is eligible to apply for Gold membership, the other parties can apply for Classic membership. Membership upgrades are based on total rewards points (upgrade points + rewards points) accumulated. NWCL Club will regularly assess the total rewards points accumulated by the members and their corresponding membership level. Members will be upgraded to Platinum tier if the total rewards points rank within the top 5% in respective of card issuing region. NWCL Club will notify its members of their membership upgrade via telephone, SMS or mail, and will issue new membership cards to new Gold and Platinum members. The exclusive privilege on property purchases available to Gold and Platinum membership tier refer to the discount offered to members when purchasing commodity properties (residential or commercial) directly from New World China Land in the first-hand property market. This purchasing discount is not applicable to any purchase of New World China Land properties through the second-hand property market. To enjoy property purchasing discounts, members should present their membership card and obtain acknowledgement before signing the purchase agreement. The total discount value for Gold membership may not exceed RMB30,000 per set, while for Platinum membership may not exceed RMB50,000 per set. The purchasing discount offer is based on per property unit (set). If members purchase multiple sets of property units, each set of property units can enjoy the relevant discount. Members’ parents, children and spouses are eligible to enjoy the same discount as the member when purchasing property. They should present relevant document proof of their relationship before going through the purchasing formalities, otherwise they cannot enjoy the member’s discount. When purchasing property, the legal representative of the buyer or the person-in-charge of the property purchase can enjoy the same member’s discount. Before going through the purchasing formalities, they should submit document proof with a relevant chop by the authorities (business registration information such as business license and identity card); otherwise they cannot enjoy the member’s discount. If there is any change of legal representative of the buyer or the person-in-charge before signing of the "Commodity Property Sales Contract", the buyer will no longer enjoy the purchasing discount and will have to reimburse the relevant discount value to the respective property developer. If a property is owned by multiple NWCL Club members, the discount offer will be based on the highest membership level among the owners, however, the discount from different members cannot be accumulated. The purchasing discount cannot be used in conjunction with other offers for New World Group and/or Chow Tai Fook VIP, but can be used with the projects not containing special offers. 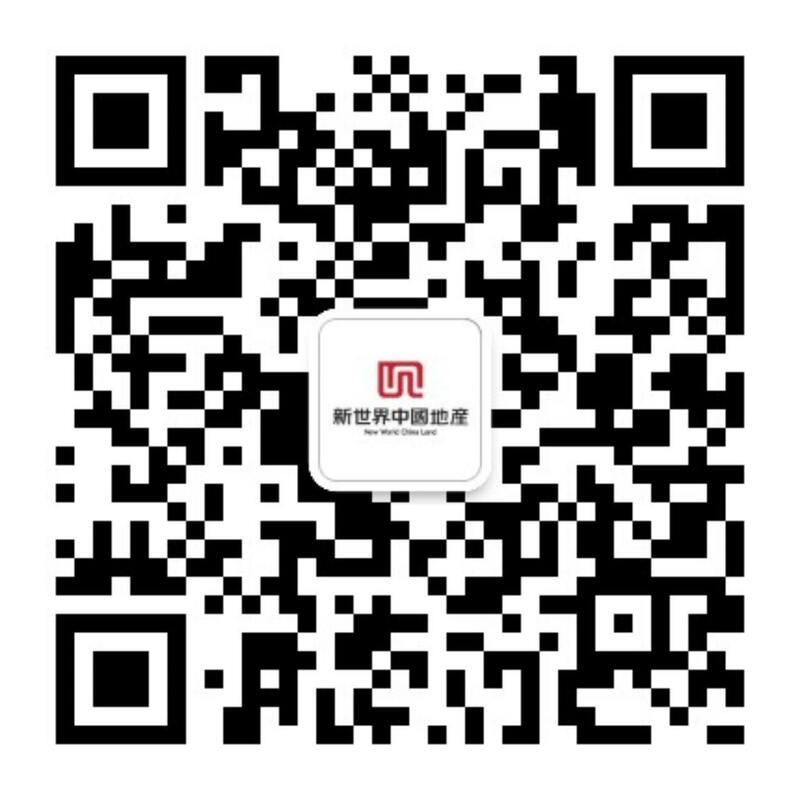 All members who provide their e-mail address can receive regular communications, including but not limited to the latest project introductions and event information from New World China Land as well as the latest activities and offers from Chow Tai Fook Jewellery, New World Hotels, and New World Department Store. The total points of NWCL Club are divided into two categories: upgrade points and rewards points. Members are eligible for 10 upgrade points after successful enrolment. Upgrade points can also be earned through various methods, i.e. new member referrals, participation in activities or member survey (The number of upgrade points earned will be based on the NWCL Club's latest announcements). Upgrade points cannot be used for redemption. Owners of New World China Land properties who have successfully applied for Gold membership can earn 1 Reward Point per RMB10,000 spent on property purchase for the first-time purchase in the first-hand property market. Rewards points is not applicable to the property purchase in the second-hand property market. Members can also earn rewards points through multiple property purchases or property viewing and purchasing referrals (The number of rewards points earned will be based on the NWCL Club’s latest announcements). NWCL Club will launch from time to time a variety of points redemption activities, whereby members can redeem points in exchange for corresponding gifts. The redeemed gifts cannot be returned, and the redemption points will be automatically deducted when the gift redemption application is accepted. The gift provider will not offer invoices for gifts. Details of the gift redemption will be sent to members by text messages and e-mail announcements. Rewards points cannot be sold, bartered, transferred and exchanged for cash. Membership cards must be presented upon request for all transactions including property view and purchase referrals, participation in members’ activities as well as rewards points redemption. For multiple ownership of property purchase, only one party can earn rewards points. As long as it does not conflict with NWCL Club’s Terms and Conditions, buyers can determine the ownership of the rewards points by themselves. Upgrade points and rewards points can be accumulated. Upgrade Points are valid for five years (from the date of issuing membership card) while rewards points are valid for two years (from the date of issuing membership card). Unused points will automatically reset to zero at the end of the validity period. Points rewarded “per RMB10,000” refer to the actual amount paid in the transaction price as stated in the commodity property sales contract (no points will be rewarded for the remaining portion below RMB10,000). The Rewards Points Scheme may be changed from time to time at the sole discretion of the NWCL Club without prior notice. The NWCL Club reserves the right to change the details and mechanisms used to award or accumulate points(s) applicable for the Rewards Points Scheme. Members who have joined NWCL Club are eligible to receive and enjoy the privileges and services provided by the NWCL Club, and should accept the specific Terms and Conditions of the NWCL Club for providing such privileges and services. Members must be invited by the NWCL Club before they can attend special activities, and NWCL Club has absolute discretion on who to invite. NWCL Club shall have the right to provide facilities and services to different kinds of members subject to different Terms and Conditions at its absolute discretion. NWCL Club is at sole and absolute discretion to terminate the provisions and/or operations of any facility or service at any time. NWCL Club shall not be responsible for the refusal of any merchants or stores or providers of such facilities and/or services to honour the membership card nor shall it be responsible in any way for the goods and/or services supplied by them to any members. No member shall make use of NWCL Club or the facilities, services, information or documents provided by the NWCL Club for any commercial, immoral, illegal or other non-designated purposes. To adhere to the rules and regulations of NWCL Club and these Terms and Conditions. To provide better membership services, we will call on customers from time to time with prior notice, and we hope that members will provide their support. In order to understand customers’ needs and opinions, we hope members will accept and cooperate with us through the completion of questionnaires and other forms of investigation. Members are encouraged to participate actively in any social activities organised by the NWCL Club. Members’ personal information in the system shall be maintained in a complete and accurate manner in order to enjoy all NWCL Club benefits and activities. Members will be informed of their rights related to the NWCL Club membership by telephone, SMS or e-mail. If a member's personal information is false or incorrect, he or she will not be able to enjoy full membership benefits or cannot be informed of the latest information as well as activities. If an application is approved, further personal data and other information will be collected during the membership period. This will be kept confidentially, and member or applicant agrees to have the data used for promotion as well as market research of NWCL Club, New World Group and its affiliated companies. It is entirely voluntary for you to provide personal data to NWCL Club. If any privacy issues about personal information arise, members may request to visit and change the information, the contents of which shall be kept confidentially. Each member has the right to request access to his or her personal information and to request correction of any personal information that is confirmed to be inaccurate. If a member's personal information has changed, please contact us to have that information updated.